At present, Andreas Regnell is Senior Vice President of Strategic Development, Vattenfall, a leading European energy state owned company. 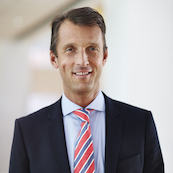 Andreas is employed at Vattenfall since 2010 and previously held positions as Head of Nordic Business Strategy (2014-2015), Head of Strategy and Sustainability (2010-2013). He holds a BSc in Economics, Stockholm School of Economics. Former positions are Senior Partner and Managing Director and Managing Partner of Nordic Region at The Boston Consulting Group (1992-2010) and Analyst and Account Manager, Citibank (1989-1992). Andreas is also currently a Board member of Svevia AB, Northvolt AB and Hybrit AB.